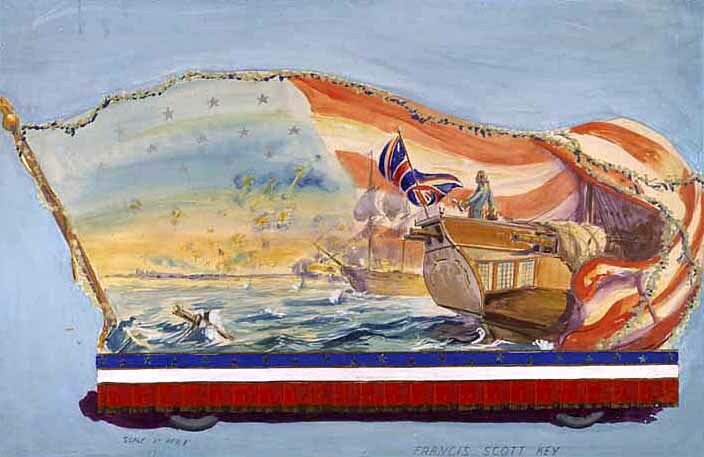 Parade floats and holiday windows had a number of things in common: materials, construction techniques, and the companies that made them. 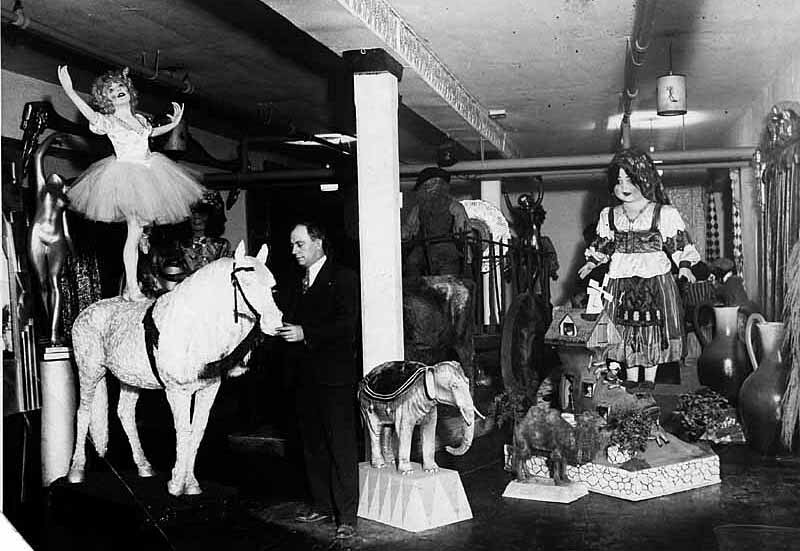 The Messmore & Damon Company ushered in a renaissance of artistic papier-mâché work in New York City in the 1920s. 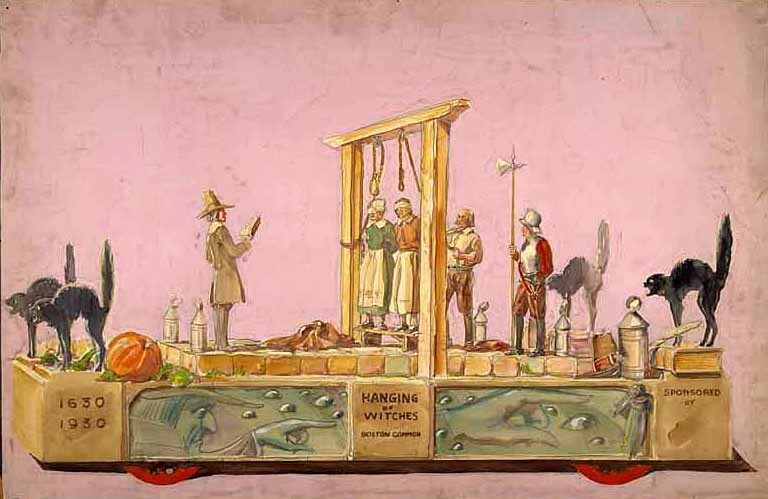 The firm entered the display business as sculptors of props for parade floats, and soon moved on to create animal and human figures animated by hidden electrical motors. 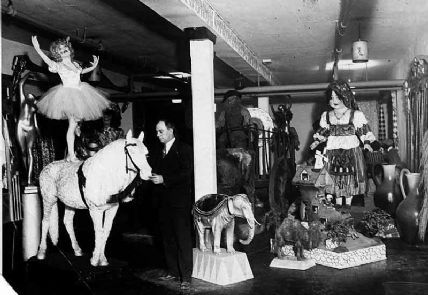 Messmore & Damon’s mechanical figures became popular holiday attractions in department stores, world’s fairs, and amusement parks throughout the United States. 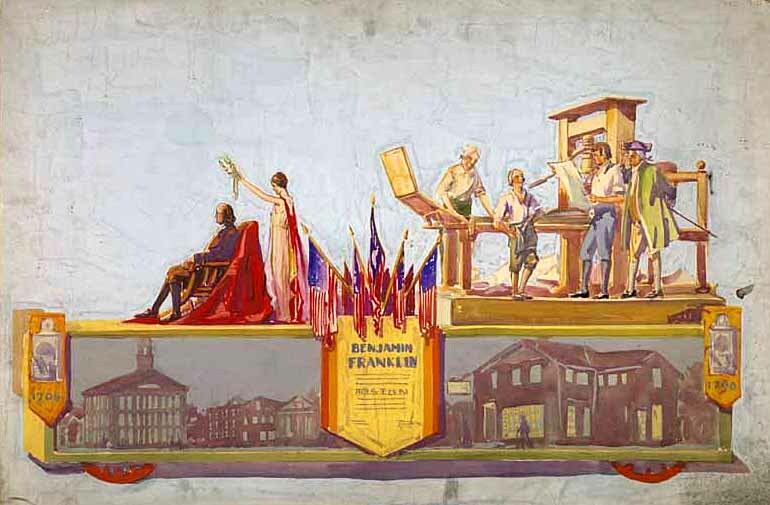 The sale of a float to a parade sponsor began with an illustration called a rendering. 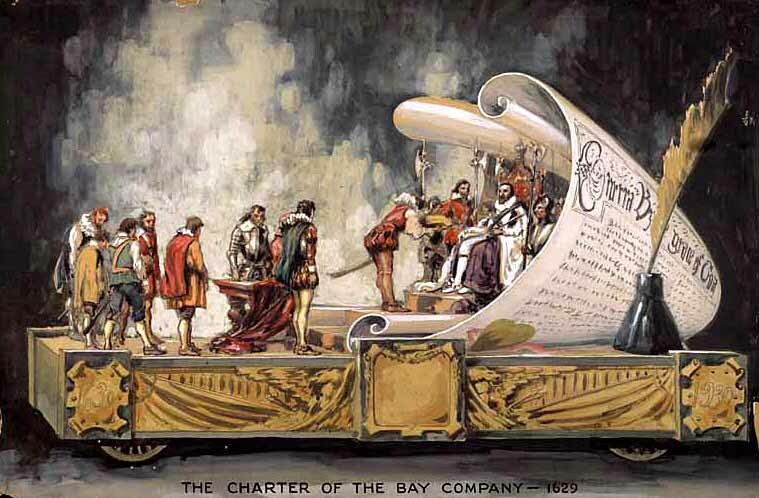 The float pictured here, designed for a historical pageant, is typical of those that Messmore & Damon created for the Baltimore & Ohio Railroad’s Fair of the Iron Horse (1927), the Pageant of the Two Hundredth Anniversary of Baltimore (1929), and the Tercentenary of the Founding of Boston (1930). 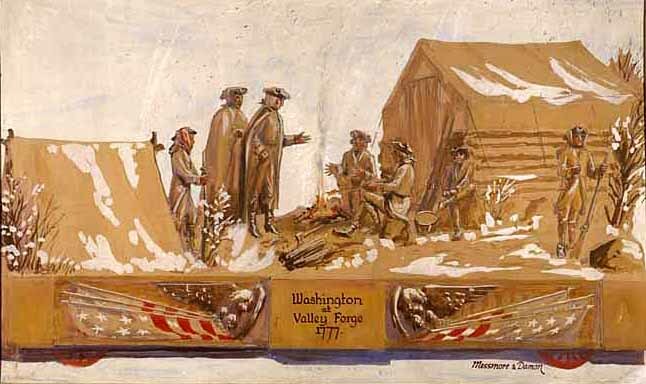 Renderings of historical subjects were often reused, with slight changes, for different sponsors or towns.